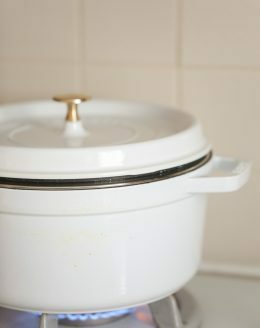 Fill pot with water just below where the steamer rests. Add cauliflower and lid. Steam for 10 minutes over high heat. Add florets to food processor until desired texture. In food processor or mixing bowl, add milk, cream cheese, and garlic. Fold in parmesan. Garnish with rosemary and fresh cracked pepper.